So you want to join the club? All dogs must be at least 4 months old, over 4 pounds, and have completed all their vaccinations. All dogs must be spayed or neutered by 6 months of age, and social with both people and all size dogs. This is a supervised play facility and not all dogs are suited for this environment. If you adopted your pup from a shelter or if you are unsure of their background, we require 30 days from their adoption date to be able to attend the Clubhouse. We accept new members from January through June and September through early November. We do not accept new members between mid June and mid September or during the winter holidays, in order to give our current clients the best service possible during these busy times. The first step to becoming a client is to set up a parent orientation and dog evaluation. These appointments book up quickly, so please plan at least 4 to 6 weeks in advance of your needs. Would you like to visit our Facility? No appointment is necessary for our overview tours which are conducted Sundays from 4:00pm to 5:00pm. Just show up, but please leave your dog at home. For the benefit of our canine guests, tour times are carefully crafted as to not interfere with playtime, naptime, feeding and comfort. Would you like to set up an orientation appointment? Please call 310-364-0011 to schedule an orientation and evaluation with your dog. These appointments are only offered during the months of January through mid June and mid September through early November. Please complete the New Client Packet Application & Contract (link below) and bring the completed forms, along with proof of current vaccinations, to your orientation appointment. All dogs must be current on Rabies, Distemper, Parvo, and must also have received a Bordetella vaccine within the past 6 months. When you check in for your appointment your dog will be taken into the facility and introduced to a small number of dogs to determine their level of comfort in a group dog setting, and assess their behavior. At this time a Grateful Dogs manager will go over what you can expect as a Grateful Dogs Parent and answer any of your questions. You will then be given a guided tour of the facility. Following your orientation, we ask that you leave your dog for a “Trial” day of daycare. During this Trial we evaluate your dog to ensure they are happy and comfortable at our facility. For your Trial day, we offer a discounted rate of $20 for the first dog, and $10 for each additional dog. We require your dog to stay for a minimum of 4 hours on this day, however, feel free to leave your dog longer! Our goal is to be sure this is the right setting for your pet. If you have a morning orientation appointment you have the option of leaving your dog for their Trial day immediately following your orientation. Otherwise, please schedule your Trial day with the front desk staff. All Trials must be completed within 30 days of your orientation. Please print, read and fill out all forms as completely as possible. 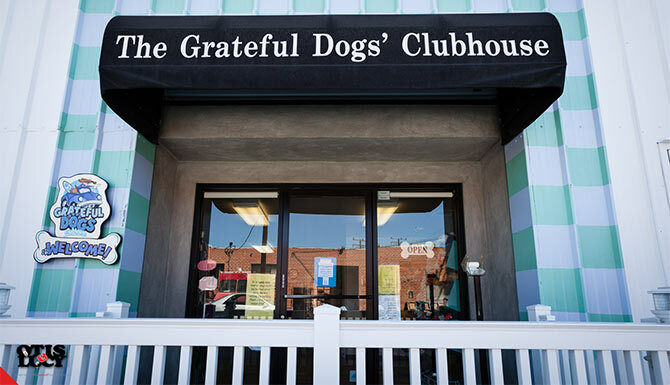 Grateful Dogs Clubhouse © 2019. All rights reserved.